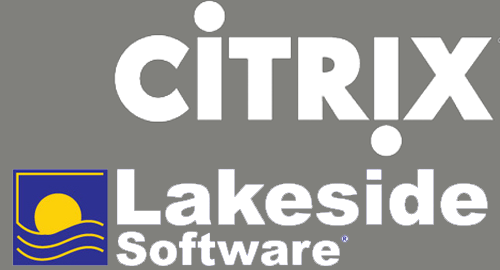 Should Citrix buy Lakeside Software? During Citrix Synergy Barcelona in 2011 Citrix announced the acquisition of App-DNA, resulting in the Citrix AppDNA product (rebranded from App-DNA AppTitude). With Citrix Synergy Barcelona 2012 coming in two months I wondered if Citrix should buy Lakeside Software and if they’ll announce it in Barcelona. Citrix XenDesktop is a desktop virtualization solution that transforms Windows desktops and applications into an on-demand service available to any user, anywhere, on any device (according to Citrix). In order to assist migration project Citrix last year released the free Citrix Desktop Transformation Accelerator. A XenDesktop assessment, design and deployment tool “from the experts” (as stated on the website). This toolkit leverages Lakeside technology to accelerate desktop transformation through deeper insight into users’ usage behavior and resource demands (press release). The toolkit includes a time bombed (two months) version of Lakeside Software FastTrack software. With the release of XenDesktop 5.6 the acquired technology of RingCube, the personal vDisk, is made available. By leveraging a personal vDisk in a XenDesktop environment a virtual desktop is assigned to each user the moment they first use a desktop, preventing the use of an idle pool. In this blog article Citrix points to Lakeside Software Systrack to learn about the users behavior and automatically adjust the sleep and wake based on the user. With Citrix AppDNA the test process of applications is automated giving a deeper insight in the compatibility, better time estimate and therefore cost saving. In order to test the compatibility of applications and estimate the required time and effort to use the applications the software needs to be imported in the AppDNA environment. The software can be imported from disk, distribution software like SCCM or from Microsoft Application Virtualization. 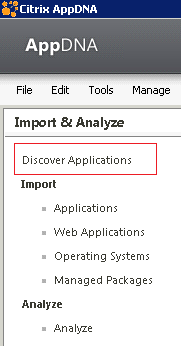 Another option is to discover the applications, an option that has been added in AppDNA 6.0 (the first release by Citrix). The discovery of applications is done by a third-party product: Lakeside Systrack. What’s interesting is that this feature is integrated in the console as the first option that a user can click. One of the strongest competiters for Citrix AppDNA is Quest Dell ChangeBase. Unlike Citrix, Quest Dell does offer a module to discover as part of the ChangeBase product with ScriptLogic Asset Manager Discovery Edition (after acquiring ScriptLogic in 2007). Citrix is not only depending on the technology offered by Lakeside software, they’ve invested in development (DTA toolkit, AppDNA) to drive their sales. This means they really rely on the availability of the technology offered by Lakeside Software and even advice customers to purchase their product (for instance to discover applications). In my opinion a enterprise product should not rely on a third party to achieve their goals. Imagine what will happen if a competitor (lets say VMware, to name one) will buy Lakeside Software? Acquiring Lakeside Software could drive sales even more by expanding the current products with more features or create new products. For example Citrix AppDNA comes in two license flavors: Standard and Enterprise. Unlike other products (like XenApp and XenDesktop) there is no Platinum license, which is fair considered the features it offers. By including a discovery module the product the product can better compete with the competition. In addition to analyzing software compatibility a module can be added to analyze system resource requirements (processor, memory, disk, etc.). Knowing the resource requirements for software (captured from a live environment) gives a better insight in demands and allows better scaling. I’ll put my money on an announcement of Citrix acquiring Lakeside Software at Synergy Barcelona 2012, only time can tell. Let me know what your thoughts are in the comments. I think they should. Not sure if they will. If they buy it the one thing I’d like changed is for the information to be more consolidated. It’s great having so much information but it could be structured better. At the moment it outputs so much that it’s a long job just to export the reports and organize them. Consolidating the information is one point where “we” could benefit from after aquiring Lakeside. Did you use the Systrack software by Lakeside or the XenDesktop DTA? I’m still in the phase of investigating what SysTrack can do and how it could help customers and for which customers Systrack can be interesting. I won’t say Citrix should or shouldn’t buy them (why should I? ), but I guess, like you, why else would they go and integrate it into all their programs? I believe from what I saw up until now, Systrack is quite powerful and could help investigate user’s behaviour and also during migrations. I agree that Systrack is quite powerful and has lot of potential. Reading about the applications on their website and the summary of Gabe Knuth (http://www.brianmadden.com/blogs/gabeknuth/archive/2011/02/16/vendor-bender-catching-up-with-lakeside-software.aspx) show they have a lot of cool stuff. If Citrix aquires Lakeside Software they can leverage the marketing and distribution channels of Citrix and expand their market. IMHO that’s a big win-win situation for Citrix, Lakeside software AND the customers!